Okay: So you’ve passed your examinations, got your Practice Licence and the world is your oyster. It can be pretty frightening stuff. Where do you start? Who do you turn to for help? How do you get your first client? Your second client? And what will they want you to do? Well firstly; you’re not alone. ICB is here to support you. 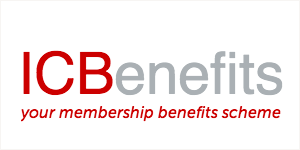 A big part of ICB’s reputation has been built on supporting its members. You are following in the footsteps of thousands of others who have done exactly what you have and have faced the same questions. ICB has therefore put together an intensive, one-day workshop to give you some of the answers and give you the confidence to go out there and make your business a success. Following the tremendous success at last year’s ICB Bookkeepers Summit of Paula Veysey-Smith’s lively workshop presentation in which she kicked off the ICBusiness Builder programme, the project is now being rolled out to six UK cities in what will be the first instalment in a nationwide programme. If you are thinking about starting your own bookkeeping practice, have everything all in place but not sure exactly where to start, or have already got your practice off the ground and now want some real practical advice on how to achieve long lasting success as a bookkeeper, these must-go-to seminars have been designed with you in mind. Paula Veysey-Smith FICB has definitely been there, done that and proudly wears the ICB tee-shirt, and she is now ready to share her vast experience with you. The one-day workshops will be jam-packed with practical, interactive and outcome-focussed sessions which will put you very firmly in the driving seat and raring to go. Through these confidence-building, very practical workshops, Paula will demonstrate how it’s done and you will learn how to use Paula’s successful strategy to create your own unique presentation skills. Prices for the full-day workshop start from £129 and you can even choose to have a follow-up call with Paula to enjoy an additional one-to-one coaching session to go through your business plan and discuss the next steps to get your bookkeeping business off the ground. ICB members and students together save almost £10,000 each month on their personal shopping with the members' discounts scheme. 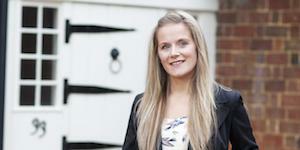 Told she would never walk again, Coral-Ann turned to bookkeeping & now owns a successful practice.